One of the potentially lucrative fields worth exploring as a freelance writer is academic writing. There are many companies that serve the academic field in a number of different ways and they search for qualified, educated writers who can offer their expertise to address these specific needs. Successful writers in this field can come from a similarly wide range of backgrounds, including teachers, scientists and journalists. Company Overview: Seeking writers in such fields as engineering, architecture, biochemistry and aviation, Academia Research has hired freelance writers since 2007. In exchange for "well-written, fully referenced, unique and timely papers," Academia Research promises to "pay our writers well." Work is only approved when the customer is fully satisfied and many orders can be on tight deadlines. Writers select one of two possible payment days per month, receiving payment via Payoneer, Paypal, Payza or wire transfer. Standard rates range from $5 to $20 per 250-word page. How to Apply: The sign up process with Academia Research begins with reading over the expected terms, writing policy and page format guidelines. From there, the application form asks for personal and contact information, main area of specialization, CV or resume, and credentials verification like diplomas and certificates. You will also need to complete an online test and complete a test essay. Writer Experiences: Writer testimonials on the Academia Research website are positive, saying the job is "life-changing" and how work with the company is "very beneficial for me in my writing career." However, the review posted on The Bipolarized calls Academia Research "one big monstrosity of a lie" as you'll be "offered to solve the homework of rich high schoolers." Company Overview: An independent publisher of journals, books and electronic media, Sage Publications works in a broad range of academic specializations including African American Studies, Social Work, Geography, Political Science and Criminology, among others. Sage is dedicated to providing "quality textbooks by leading authors... at prices that students can afford." In addition to the textbooks and other reading materials, Sage also publishes online course companions that provide both teachers and students with online support. How to Apply: Sage Publications has three main roles that it hires on a freelance basis: copy editors, proofreaders and indexers. The company accepts resumes and tests on an ongoing basis. Interested copy editors are expected to be familiar with both APA and Chicago Manual of Style formats. To apply, complete the test where you will edit a document electronically, submitting your work via email to freelancers@sagepub.com. Be sure to follow the instructions closely, including the requirement to turn "track changes" on and how you should name your submitted file. Writer Experiences: While apparently not working with Sage on a freelance basis, professional proofreader Louise Harnby says that the production department at the company is "filled with extraordinary people [with] incredible patience." She learned that the workers there needed her to "hit the ground running" as the proofreader is "a small cog in a large production machine that never stops." Company Overview: A division of Ascend Learning, Jones & Bartlett Learning develops educational programs for secondary and post-secondary education, as well as professional markets. Subjects covered by the company include health care administration, engineering, criminal justice, and marine biology. The goal of the company is to combine authoritative content with "innovative technology solutions" to "measurably improve learning outcomes." This includes online courses, training e-books, and even virtual simulations. How to Apply: As Jones & Bartlett Learning aspires to "go beyond the book" with their approach to education, becoming an author with the company can be broader in scope than writing for a traditional textbook. Rather than being assigned a specific topic to write or edit, the company requests that you propose your own original idea for content. They also accept ideas for supplemental material and other ancillary products to help "enrich the educational experience." Contact the acquiring editor relevant to your subject to discuss your project, but read the Proposal Guidelines first. Writer Experiences: Reviews on career website Glassdoor.com are mixed in regards to worker experiences at Jones and Bartlett. While one user says it's a "friendly and relaxed environment," another user says there "is no ownership of work" and another cites "ambiguous working relationships" due to "undefined roles." Company Overview: ACT is a nonprofit organization responsible for the ACT test that is taken by more than 1.6 million high school graduates each year as an entrance exam and placement test for higher education. In addition to the continued development of that test, ACT also works on a number of college and career readiness materials, producing materials not only for would-be college students, but for students through the K-12 range, as well as workforce products for the professional context. The ACT Compass is a placement test that allows educators and administration to determine the skill levels of students in core areas like reading, writing, and math. 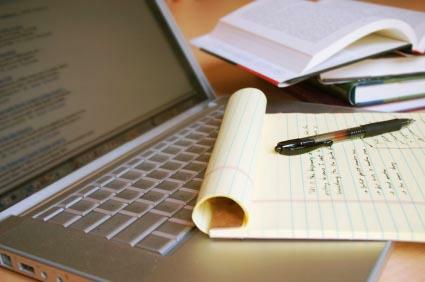 Key freelance opportunities at ACT relate the development of ACT's test materials. How to Apply: Although listed in the Careers section on the site, ACT does have a page where it lists current freelance and item writing positions. The opportunity to become an ACT Item Writer, for instance, requires applicants to fill out a questionnaire about your educational background and teaching experience. Upon receipt of your questionnaire, either electronically or printed and sent through the mail, you will be asked to send your resume or curriculum vitae if you haven't already done so. You may also be asked to submit a sample of your work. ACT Item Writers are typically educators who already work within the classroom setting, from grades 3 through to post-secondary. Writer Experiences: Writing test questions is the "favorite side hustle" of a high school teacher who calls himself "J.Money" on BudgetsAreSexy.com. The assignments are usually pretty specific and the rules for creating the questions provide strict guidance for structure and wording. While J.Money does not explicitly say he works for ACT, he does say that he gets paid $20 to $30 per question for the two different tests he does write. Company Overview: Currently employing over 3,000 research writers from around the world, Prospect Solution is a career agency that caters to freelance research writers in a broad range of specializations and fields. Pay rates for submitted writing typically start at 50 GBP, but there are opportunities where over 1,000 GBP can be earned. The standard rate of pay starts at 17 GBP per 500 words, but can get as high as 125 GBP per 500 words. The primary opportunities are with briefs that vary in length, time and complexity. How to Apply: To qualify to work for Prospect Solution, you will need to have access to academic resources for research purposes, to have graduated with a minimum 2:1 Honours Degree (60-70%), and have a comprehensive understanding of your area of expertise. Knowledge of common referencing styles, like APA and MLA, is also required. Prospect hires writers internationally. The online application form asks for location, primary qualification, level achieved, a 150-word response as to what makes a good writer. You will also need to upload your resume. Writer Experiences: A forum thread on EssayScam.org says the company requests "example essays," though it is perfectly feasible that customers are submitting these essays as if they were their own. One user says that Prospect Solution rarely pays on time and communication can be very poor. A different user says that they do pay reasonably and promptly, though there is "a limited amount of work available." In the five years he has been with the company, he has only had 17 jobs. While there are certainly legitimate writing opportunities in the various fields of academia, companies that buy and sell academic research papers, dissertations and essays can oftentimes fall into an ethical grey area. They may claim that the commissioned work is only being used as "example essays" by its customers, but it is likely that many of these customers are using the ghostwritten papers as if they were their own. These types of companies are not technically illegal and the writer may not necessarily get into any legal trouble, but it is ethically dubious and could get the student expelled if caught. However, this isn't to say that there aren't opportunities to work as a freelance academic writer. Many textbook publishers employ freelance writers to develop materials, just as learning institutes and non-profit organizations may need help in developing tests or other supplementary learning material. This can prove to be a great source of side income for people who are already working in education and academia, providing them with another outlet to utilize their existing skills and expertise.